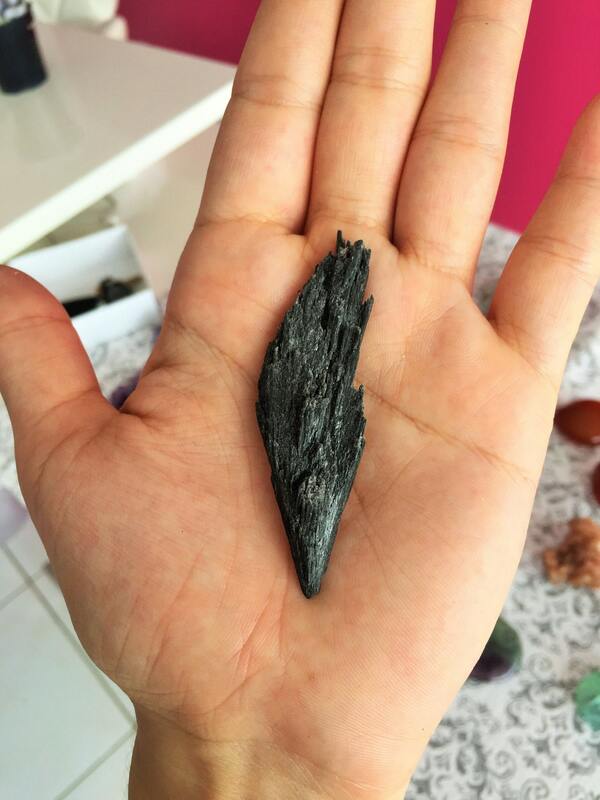 These Brazilian Kyanite are metallic black. 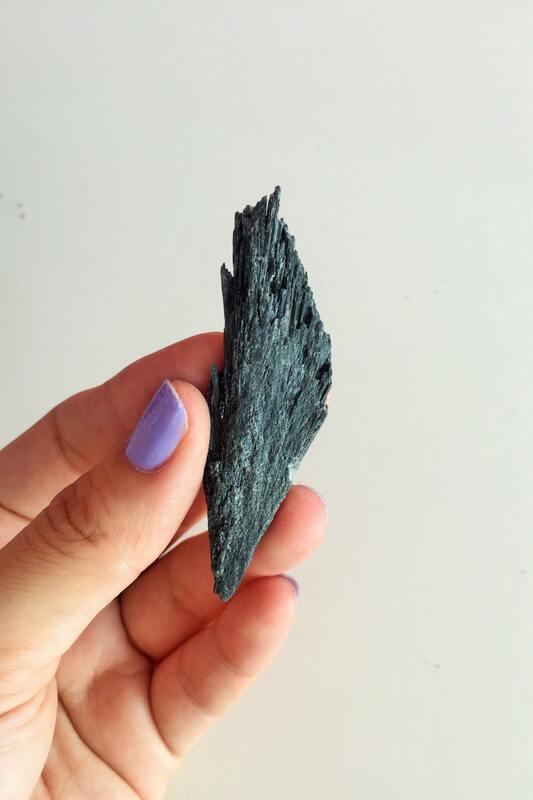 Black Kyanite stones transmit and amplifies high-frequency energies making it a great stone for healing, chakra balancing, meditation, and dream-work. The natural formation of these blades lends itself to this crystal's ability to unblock stagnant energies throughout the aura. Black Kyanite works with all Chakras. 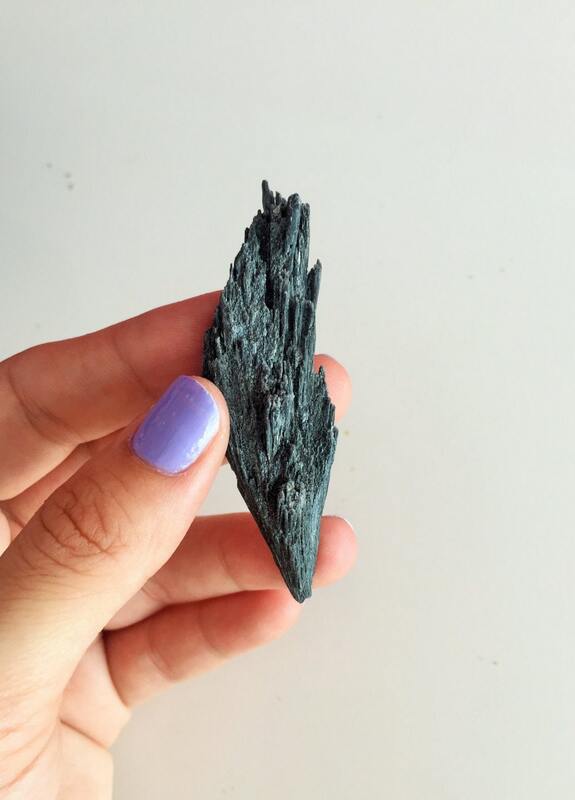 Many energy healers use Black Kyanite because it instantly grounds and energizes the body. *Kyanite doesn't hold negative energies, and never needs to be cleared/cleansed. Such a beautiful healing stone. It came in perfect condition. Gorgeous piece with fantastic energy, thank you so much!